Just Music. 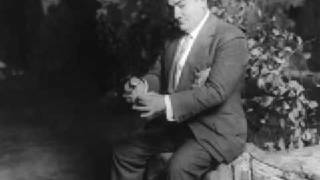 Enrico Caruso sings "Una Furtiva Lagrima" from "L'elisir D'amore" by G. Donizetti in this remastered recording where he is accompanied by the Vienna Radio Symphony Orchestra. The vocals were recorded on February 1, 1904 in New York and the instrumentals were recorded in April, 2002 in Vienna. A digitally remastered version of the original recording from 20th of March 1916. 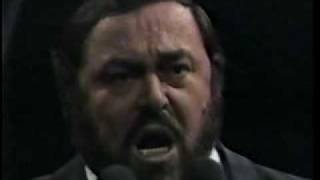 I generally don't like these remasterings as Caruso's voice is often distorted, but this one is OK I think and more palatable for most listeners. 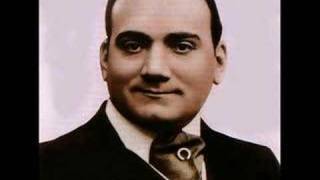 For more Caruso info visit my website: http://www.enricocaruso.dk Santa Lucia is a traditional Neapolitan song. It was transcribed by Teodoro Cottrau (1827-1879) and published by the Cottrau firm, as a "barcarolla", at Naples in 1849. Cottrau translated it from Napuletano into Italian during the first stage of the Risorgimento, the first Neapolitan song to be given Italian lyrics. Its transcriber, who is very often credited as its composer, was the son of the French-born Italian composer and collector of songs Guillaume Louis Cottrau (1797-1847). 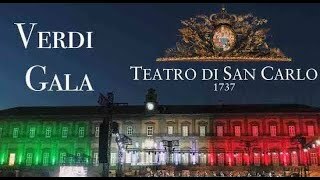 The Neapolitan lyrics of "Santa Lucia" celebrate the picturesque waterfront district, Borgo Santa Lucia, in the Bay of Naples, in the invitation of a boatman to take a turn in his boat, the better to enjoy the cool of the evening. 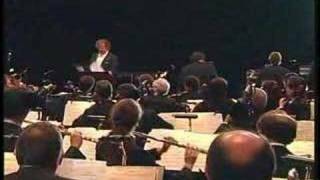 Три тенора 3 - "Скажите, девушки, подружке вашей..."
From the Madison Square Garden 25th anniversary concert, with Emerson Buckley conducting. Digitally remastered version. Music by Salvatore Cardillo (1874–1947). Text written by Riccardo Cordiferro (pseudonym Alessandro Sisca) for Caruso. 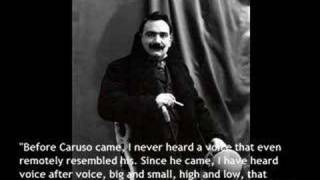 A restored (not digitally restored) version with the original orchestration can be heard here: http://www.youtube.com/watch?v=Rt5tIQGEW5w More Caruso info on my website: http://www.enricocaruso.dk (English). TEXT (may not be the Caruso version ...): Italian/Neapolitan: Core 'Ngrato Catari, Catari, pecche me dice sti parole amare, pecche me parle e 'o core me turmiente, Catari? Nun te scurda ca t'aggio date 'o core, Catari, nun te scurda! 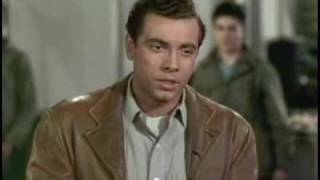 Catari, Catari, che vene a dicere stu parla ca me da spaseme? Tu nun'nce pienze a stu dulore mio, tu nun'nce pienze, tu nun te ne cure. Core, core, 'ngrato, t'aie pigliato 'a vita mia, tutt'e passato e nun'nce pienze chiu! Catari, Catari... tu nun `o ssaje ca fino e `int`a na chiesa io so' trasuto e aggiu pregato a Dio, Catari. E ll`aggio ditto pure a `o cunfessore: sto'a suffri pe` chella lla... sto'a suffri, sto'a suffri nun se p? credere... sto'a suffri tutte li strazie!` E `o cunfessore,ch'e perzona santa, mm`ha ditto: `Figliu mio lassala sta!... English: Ungrateful Heart Caterina, Caterina, why do you say those bitter words? Why do you speak and torment my heart, Caterina? Don't forget, I gave you my heart, Caterina, don't forget. Caterina, Caterina, why do you come and say those words that hurt me so much? You don't think of my pain, you don't think, you don't care. Ungrateful heart, you have stolen my life. Everything is finished and you don't care any more! Catarí', Catarí' you do not know that even in church I bring my prayers to God, Catari. And I recount my confession to the priest: "I am suffering from such a great love." I'm suffering, I'm suffering from not knowing your love, I'm suffering a sorrow that tortures my soul. And I confess, that the Holy Mother spoke to me: "My son, let it be, let it be." 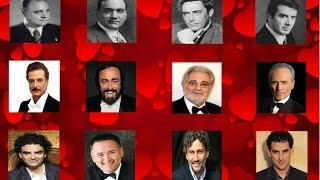 For those interested, I also made a 2nd video: https://www.youtube.com/watch?v=uMDljAoDvOs Here are some of the top ten most beautiful songs ever written (in my opinion). Please read the description at the very bottom for more information about this video's purpose. 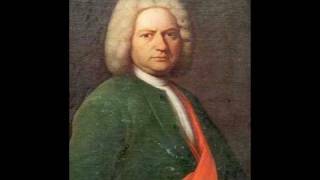 The songs go in a list like this: #10 - 0:05 Samuel Barber : " Adagio For The Strings " -Conducted by Paul Ruskay #9 - 0:45 Johann Sebastian Bach : " Jesu, Joy Of Man's Desiring " -Conducted by Leopold Stokowski https://www.youtube.com/watch?v=S6OgZCCoXWc #8 - 1:22 Johann Pachelbel " Canon " -Conducted by Rudolf Baumgartner https://www.youtube.com/watch?v=eEHVd_-iZxE #7 - 2:02 Jacques Offenbach " Barcarolle " From the opera " The Tales Of Hoffman " -Performed by Elisabeth Werres, Cologne West German Radio Chorus; Conducted by Pinchas Steinberg. 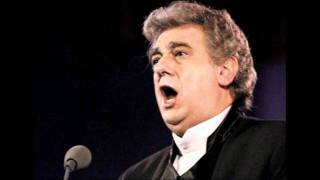 Album: FCLS24 Opera Greats 2 https://www.youtube.com/watch?v=Tfz--V8OkYU *Note: This is a German version of the song. It was originally French. 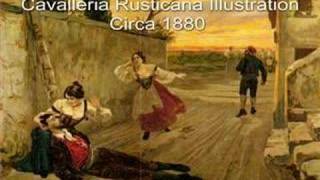 #6 - 2:47 Franz Schubert : " Ave Maria " -Performed by Leontyne Price And The St. Thomas Episcopal Church, New York https://www.youtube.com/watch?v=hd-lxy0Vc60 #5 - 3:49 Pietro Mascagni : " Intermezzo (Cavalleria Rusticana) " -Performed By Heribert Beissel; Klassische Philharmonie Bonn Album: 100 Classical Essentials #4 - 4:39 Johann Sebastian Bach " Air " -Conducted By Rudolf Baumgartner - Album: Classical Music 101 #3 - 5:28 Cesar Franck " Panis Angelicus " -Performed By St. Philips Boys' Choir Featuring Jaymi Bandtock And Sam Harper https://www.youtube.com/watch?v=7c5_g1HoadE #2 - 6:06 Johann Sebastian Bach " Unaccompanied Cello Suite No. 1, BWV 1007 " -Performed By Yo-Yo Ma https://www.youtube.com/watch?v=eKbrty2x8rM #1 - 6:40 Ludwig Van Beethoven : " Moonlight Sonata , 1st Movement " -Performed By Dubravka Tomsic - Album: Classic Dreams Here is a video I made on my favorite American music (patriotic): https://www.youtube.com/watch?v=RcfmsQFDXQA Here is a second video: "2nd Top Ten Most Beautiful Songs Of All Time", featuring composers and songs I couldn't fit into my first top 10 video: https://www.youtube.com/watch?v=uMDljAoDvOs Please note: All beauty is subjective. There is no such thing as a true "Top Ten" list. Each piece holds its own beauty and is neither better nor worse than others. Also, unless it has singing, it is not technically a song. The title of this video is merely meant to help an average person find it, so that beautiful music, and the incredible depth of beauty that comes with it, will be discovered and felt by more people. Also, there is a second video with more songs and composers which I couldn't fit into this video (see above link). 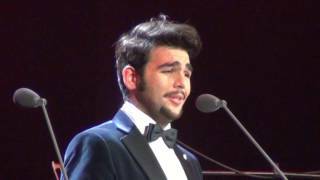 Aria "Un bel di vedremo". Madame Butterfly. 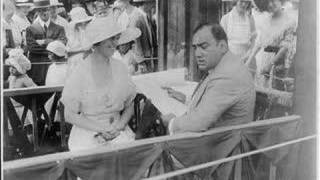 Enrico Caruso sings Mi par d'udir ancora from opera: I Pescatori Di Perle Composer: Georges Bizet (1838-1875) MATCH POINT OST directed by Woody Allen Year: 2005 The man who said "I'd rather be lucky than good" saw deeply into life. People are afraid to face how great a part of life is dependent on luck. It's scary to think so much is out of one's control. There are moments in a match when the ball hits the top of the net, and for a split second, it can either go forward or fall back. With a little luck, it goes forward, and you win. Or maybe it doesn't, and you lose. Just Music. 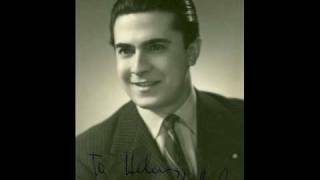 Mario Lanza sings 'Una Furtiva Lagrima' from 'L'Elisir d'amore' by Donizetti with Orchestra conducted by Constantine Callinicos in this RCA Victor recording from May 18, 1950. 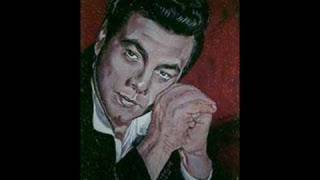 Join The "Mario Lanza" Group. New: https://www.youtube.com/watch?v=2a6hTFvtErI Also recommended: https://www.youtube.com/watch?v=fBKnQdsgBGA Ave Maria Rendition with lyrics english subtitles Video beautiful vocal music great song prayer pray to Blessed Virgin Mary Hail Mary Virgen María Avemaría holy God Jesus soundtrack ost bso translated translation soprano Religious sacred visits her cousin Saint Elizabeth mother of St. John the Baptist composer Olivia Hussey Magnificat Original Latin Text: Ave Maria, gratia plena. Dominus tecum. Benedicta tu in mulieribus, et benedictus fructus ventris tui, Iesus. Sancta Maria, Mater Dei, ora pro nobis, peccatoribus, nunc et in hora mortis nostrae. Amen. English lyrics Translation: Hail Mary, full of grace. Our Lord is with you. Blessed are you among women, and blessed is the fruit of your womb, Jesus. Holy Mary, Mother of God, pray for us sinners, now and at the hour of our death. Amen. Texto en español. Letra traducida: Dios te salve, María, llena eres de gracia, el Señor es contigo. Bendita tú eres entre todas las mujeres, y bendito es el fruto de tu vientre, Jesús. Santa María, Madre de Dios, ruega por nosotros, pecadores, ahora y en la hora de nuestra muerte. Amén. Just Music. 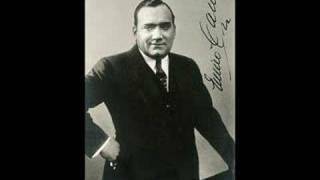 Enrico Caruso sings "O Sole Mio" in this recording from February 5, 1916 with the Victor Orchestra. Walter B. Rogers is conducting. Just Music. 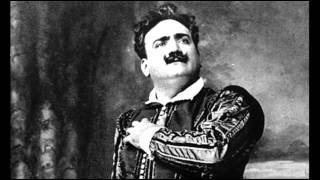 Enrico Caruso sings "Che Gelida Manina" from "La Bohème" by G. Puccini in this remastered recording where he is accompanied by the Vienna Radio Symphony Orchestra. The vocals were recorded on February 11, 1906 in New York and the instrumentals were recorded in April, 2002 in Vienna. 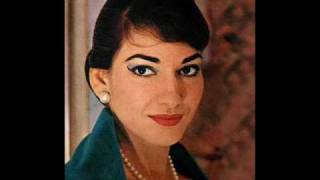 Maria Callas ! La Traviata . Giuseppe Verdi ! For all the friends who love the art of Maria Callas ! I hope you enjoy it, Regards! . 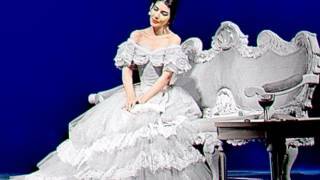 To think that Maria Callas sang this traviata, sick, by a strong influenza. Amazing ! New Master private ,Thanks Ronny , Remastering Tito.- Disclaimer- Copyright Disclaimer Under Section 107 of the Copyright Act 1976, allowance is made for "fair use" for purposes such as criticism, comment, news reporting, teaching, scholarship, and research. Fair use is a use permitted by copyright statute that might otherwise be infringing. Non-profit, educational or personal use tips the balance in favor of fair use. Ах, эти черные глаза. Петр Лещенко В клипа са използвани кадри с участието на София Лорен и Марчело Мастрояни Аудиозаписа е правен през далечната 1938 година. 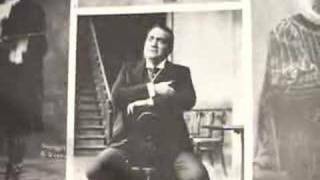 Core 'ngrato - Enrico Caruso "Live"
Core 'ngrato - Enrico Caruso " Live"
Caruso singing La Donna e Mobile from Verdi's Rigoletto for Victor in 1907. The correct playing speed is 75 rpm which I did not know when I uploaded this record. I played it at 78.26 rpm. 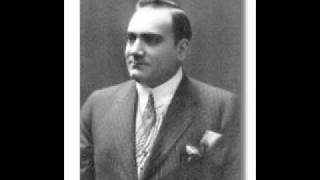 Some of Caruso's earlier records played at much slower speeds and I have adjusted those postings accordingly. 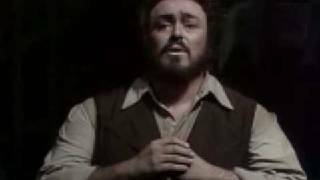 Rodolfo's aria from Puccini's La Bohème. Recorded on 11th February 1906. Digitally remastered. You may want to look at my website for more: http://www.enricocaruso.dk (English and Danish). Italian text: Che gelida manina, se la lasci riscaldar. Cercar che giova? Al buio non si trova. Ma per fortuna é una notte di luna, e qui la luna l'abbiamo vicina. Aspetti, signorina, le dirò con due parole chi son, e che faccio, come vivo. Vuole? Chi son? Sono un poeta. Che cosa faccio? Scrivo. E come vivo? Vivo. In povertà mia lieta scialo da gran signore rime ed inni d'amore. Per sogni e per chimere e per castelli in aria, l'anima ho milionaria. Talor dal mio forziere ruban tutti i gioelli due ladri, gli occhi belli. V'entrar con voi pur ora, ed i miei sogni usati e i bei sogni miei, tosto si dileguar! Ma il furto non m'accora, poiché, poiché v'ha preso stanza la speranza! Or che mi conoscete, parlate voi, deh! Parlate. Chi siete? Vi piaccia dir! English translation: What a frozen little hand, let me warm it for you. What's the use of looking? We won't find it in the dark. But luckily it's a moonlit night, and the moon is near us here. Wait, mademoiselle, I will tell you in two words who I am, what I do, and how I live. May I? Who am I? I am a poet. What do I do? I write. And how do I live? I live. In my carefree poverty I squander rhymes and love songs like a lord. When it comes to dreams and visions and castles in the air, I've the soul of a millionaire. From time to time two thieves steal all the jewels out of my safe, two pretty eyes. They came in with you just now, and my customary dreams my lovely dreams, melted at once into thin air! But the theft doesn't anger me, for their place has been taken by hope! Now that you know all about me, you tell me who you are.